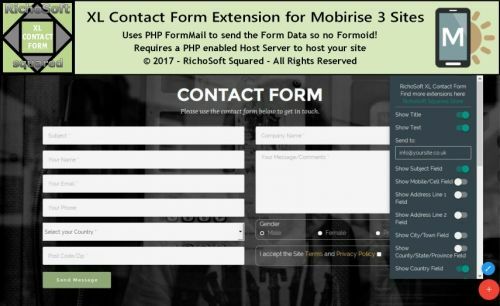 XL CONTACT FORM EXTENSION with PHP FormMailfor Mobirise* sites. An easy to set up Contact Form Extension without reCaptcha2 for Mobirise Sites. All Required Support Files - Richosoft created Extension, automatically installs required files and libraries.